This entry was posted in Eco-farming, spain, Thoughts and tagged Amanda Todd, bullying, education, emotions, Malala Yousefzai, preschool, school, society by cavemum. Bookmark the permalink. The problem is people, not schools. School just brings them together, where behaviors can spread. Most children learn how to be mean to each other at home. Yes that’s true, sadly in so many cases. I do wonder with Amanda Todd, where was her mother? Where were her teachers? Didn’t anyone get suspicious when they saw her scarred arms? 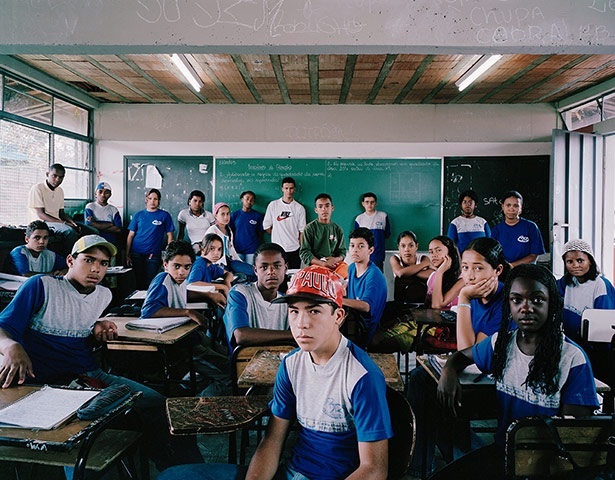 The quietest ones in the class are always the ones with the most going on – why didn’t a school counsellor or someone get involved? Were her schools really so impersonal that someone can slip through the net like that? It makes me so sad that young people (or anyone, in fact) can go through things like that continually over a period of time, and nobody raises their heads from their own petty lives to step in. The trouble is that most parents don’t like being told how to parent (I know I don’t). Bullies are famous for having been bullied themselves. I just don’t get why there is nobody who dares to stand up for the underdog. I take, perhaps, an even more jaded view of the “modern educational system”. Educated people are (were, rather) more likely to get a better job, therefore they would get more pay, therefore they would pay more taxes and become “productive members of society.” I think the first push for public education was probably done to increase tax revenue. When education through 12th grade became mandatory, and now the poor kids who could get better jobs didn’t want to do the poor jobs anymore, we bring in illegal immigrants to do the poor jobs (again, farming is probably the biggest one) so the poor kids can do the better jobs, while the well-off kids who can afford college still do the high-paying jobs. There are no clean split lines, of course. Some poor kids go on to great jobs and some well off kids go on to mediocre jobs at best. But education never really changed to encompass the new demographics going. It isn’t focused on preparing kids for ‘real life’, it is focused on getting kids into college. That’s why tests are becoming more and more standardized and kids are becoming less and less interested, because they are being molded into *one* ideal of what an educated person should be, instead of having *their own strengths* realized and nurtured. People tell kids: you can be a doctor or an architect or a scientist. With school, you can be whatever you want! No one ever tells kids: you can be a farmer when you grow up! They are being churned out on an assembly line of cookie cutter shapes for one purpose only: funnel them into college. And you don’t need college degrees for the vast majority of jobs that fill the lowest tiers of pay. Security guards, shelf-stockers, fast food workers, and – of course – farmers. Half of why kids don’t see any point to school is they can see through the lie: The promise of college equating to better life used to be true. It isn’t anymore. Now college equates to over qualified young 20-somethings who bear enormous debts if they couldn’t get any kind of scholarships or financial aid. And being overqualified for jobs is as disastrous as being underqualified. So we have a whole demographic of kids who can’t get high-paying jobs because there’s too much competition, who can’t pay their college loans with the low-paying jobs, or who can’t even get the low-paying jobs because they’re overqualified. Or worse, the degree they spent thousands on getting is for something like art history or philosophy which might be a great way to expand your horizons, but a great way to starve your purse as well. We’ve educated away the foundations of society: farmers. And it is certainly not a bad thing to have educated kids, but basically we just traded illegal immigrants for farm kids. It’s why I always roll my eyes whenever people cry that immigrants ‘take our jobs’, as if they jobs they do were something the people crying over would *ever* stoop to doing themselves. It seems our modern society is designed to necessitate a poor, uneducated working class. And despite that necessity, we shun them (or perhaps pity them) as the least desirable, both their jobs and the people who do them. We have to fundamentally change our society and our view of what education should be in order for anything to really change. I’m not sure if I addressed your question or not. But I get on a roll when I rant about school. I read so many articles on Malala, people saying she and her family should get asylum in Britain or the US, and I was thinking.. no! I don’t want her to die, not at all, but I think she *needs* to go back and keep doing what she’s been doing. She’s the kind of person who changes the world. She’s the kind of person who inspires and unites and creates real change for her people. Wow, what a reply! Thanks Creative Metaphor. A lot of insights on the US side of things too. Spain is basically in an earlier stage of the process you’re describing, which makes it all the more frustrating when we can see the fruits of that system elsewhere. You’re absolutely right about the tiered system of work. There was a documentary on in Britain a few years back about the so-called invasion of Poles, and when they told one unemployed Brit that they had a job for him picking pumpkins, he laughed and said ‘no thanks’. Then immigrants get all this racist flack from small-minded hicks who have no idea what good, humble people the immigrants so often are. The schooling picture is so complicated. A lot of kids are lacking in basic ethical, social, emotional education at home because their parents are so exhausted after working their butts off that they stick them in front of the TV or video games, or send them off to ‘improving’ classes – which all cost money, so perpetuating the system. The kids grow up dysfunctional, the families are dysfunctional, the parents’ relationships are dysfunctional, then these same kids have to become adults with fewer and fewer role models who are really present for them. Teachers are fed up with unruly, disrespectful kids in their classes too. So these kids grow up to repeat the same patterns as the adults: work too much, be a slave to a consumerist culture which demands that you spend in order to be happy and fit in with society, ignore festering feelings and turn on the box in the hopes that the problems go away…or self-medicate with drink and drugs to maintain the pretense that everything is fine. I can’t imagine what it must be like for mothers with little kids who have to shove them into childcare all day every day just to make ends meet. I know a friend who saw mothers in Seville dropping their 3 month old babies at the nursery in the morning STILL SLEEPING! So the nursery nurses had to do the whole rigmarole of breakfast with these tiny kids in pyjamas who had gone to sleep at home. That’s enough to make anyone grow up insane. I would never condemn mothers working as a principle – God knows I have a hundred projects on the boil. But being obliged to spend the majority of your time in an office and leaving your kid with someone who would not be doing their job if they weren’t being paid to do so, just to survive, I think is actually inhumane – for the mother as much as the kids. You only have to spend a few days chilling out at home with your kids to see how relaxed and happy they are, instead of coming home from school angry, distracted, whiney, bratty, and generally not much fun. Then you have the problem of feeling guilty for staying at home and looking after your kids instead of working!! Phew…it’s all pretty depressing. But I think there are good initiatives out there, encouraging schools to offer emotional/social education. The trouble is that it doesn’t sound half as convincing coming from a teacher as it does seeing it in action around you. Thanks for your comments, yeah what an amazing woman Malala will be (I hope and pray) – she could be Pakistan’s Gandhi! Come on Malala, you can make it…. Thatnks for your responses Lizzy! I also find the camaraderie of school a big mitigating factor of state schools. I definitely found that my high school experience was valuable not so much for the things the teachers taught, but more for the cross-section of society that it brought me into contact with. There is a place for alternative schools, but the problem for me is that they alternative, and therefore inaccessible to most kids. I did happen tog o to a ‘good’ state school, so I guess it is partly a lottery. I suppose we’ll continue for now, for those same reasons you mentioned above, but just try to counteract the soul-numbing effects of the gingerbread approach to childcare with lots of walks in nature and home science experiments with bicarb of soda and vinegar, and talking about everything that comes up with as much tact and compassion as possible. The Jerrahi Sufis say that there are only three things you need to give a child: a good name, good food, and a good example. So the real work is ours to do…! Great blog Medina, reminded me of this video i saw a few years back. Medina. Great item. I have found that my blogging recently has been largely political and it is interesting to read what you have said regarding young women and the right to an education. I think that, without literacy and an education, it would be harder for us to argue to change the climate, content and form of the education we get . As a feminist and a former educationist I can see there are many fronts. Thankyou Marilyn for your responses, I guess it’s true we have to be thankful for being educated enough to criticise the system! More than anything my query is about the political agenda behind obligatory schooling. Obviously in a place like Afghanistan, where the Taliban have their own pseudo-political system that requires absolute obedience to tribal traditions and their twisted take on Islam, it runs counter to their agenda to educate women. On the other hand, in a free market economy, getting as many people into work as possible so as to raise the maximum in taxes and raise the GDP is the most important thing on the agenda, so getting kids into school so their parents (particularly their mums) can work the longest hours possible, spurs the state education system. But as Creative Metaphor commented above, this feeds into a deeply unjust economic system that requires huge numbers of immigrants, who have to work for very minimal pay and in terrible conditions, to do the work that now so many people are ‘too educated’ to do. There are also many over-qualified people with students debts (me included) who can’t find appropriate work. I’m not saying we should bag education; on the contrary, we need it to be better, rounder; we need it to take into account all aspects of the child as they will form the next generation of adults. I suppose the real demon here is the treadmill of work that the 99% are on, day in day out, without any chance of a breather to ensure that their kids are doing well all-round. But it’s a big question, economically, socially, politically…we’ll see how the thing pans out. Thanks again for sharing your responses! Medina, try and read some of John Taylor Gattos work if you can. I am just in the middle of The Underground History of American Education and its fascinating. It sure makes you feel alot better about homeschooling if you are struggling with it (me). He was a New York school teacher for 30 years and then left because he was so disgusted by it all. He says at one point “Ordinary people send their children to school to get smart, but what modern schooling teaches is dumbness” And how much did we really learn in school? I, being someone who went to American schools, don’t remember much that stuck with me…except being teased and picked on alot…. The video Taofiq Trevathan links to above well worth a watch. I have also just been reading this article: http://www.daddybegood.com/archives/learning/my-child-doesnt-like-schoo, which cites a psychological study that says that sitting still for extended periods and concentrating on one thing would actually have been a hindrance at any prior point in human history (i.e. when we mostly did physical jobs). I know that the Steiner school people have a lot to say on the matter too (boiled down, they say that up until 6 or 7 years old, when children cut their adult teeth,they should be doing exclusively manual, sensory tasks that relate to traditional adult jobs and fantasy play). My main objection to alternative schooling, having sent both Caveboy and Cavegirl to a Steiner school over the last three years, is that it is precisely that: alternative. Not only are kids at these schools not really socialising with ‘normal’ kids, the ‘normal’ kids also don’t get the benefits of the specialised schooling offered – usually for a fee – at the alternative schools. There is a small group of families up the mountains here who take turns each weekday to home-educate their kids together, which I think is the best of all worlds if you manage it. It kind of comes back to the economic question in the end: who can afford to homeschool? The crazy thing is that it is becoming a luxury. Well, as a primary school teacher, I think school can be a good thing, and the school experience you describe Caveboy having tells me you are either exagerating about what he actually gets up to at school and what the staff there are providing (with such a small class size, they should be having lots of fun and doing loads of creative, exciting learning! ), or you are right, in which case you are sending him to a mediocre school and you, as the parent, should find a school for him that nurtures his development, enthuses him on the world, lets him explore and experience and create and take wonder in everything around him. Perhaps early schooling in Spain is still stuck in the dark ages, but here in England it is quite easy to find a good, stimulating, nurturing, fun, creative and enjoyable Primary school, especially for the early years. I know, I have worked in them. Of course, we don’t always have much choice over the school our children go to, and in those cases we just have to do our best to make up the shortfall. i went to a terrible school for my first few years, but my parents made up for it! School, if done right (and I know they don’t always do it right, and not all countries have a nurturing stimulating curriculum that develop free thinking and creativity) can provide chilren with experiences they would never get at home. Opportunities to develop social skills, learn about others, explore new things, expand their academic side, learn skills like reading, writing, maths, science, are things that most children wouldn’t get at home. 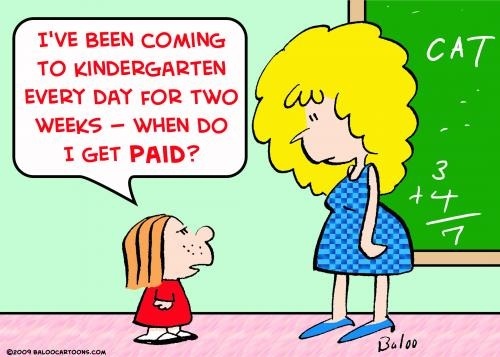 After all, most parents have to work. Schools have changed a lot over the years. I certainly wouldn’t want my children to have the kind of schooling I was subjected to for a few years in a government school in Saudi Arabia, and I have faith and hope that they will continue chaingin for the better! Here in the UK at least, we don’t expect primary aged children to sit still for more than 20 minutes at a time, so lessons are planned around that, with (if the teacher does it right and actually cares) lots of stimulating bursts of activity, moving around, talking, discussing, investigating etc.). We cannot assume our childrne will get the same experience of school that we had. It really is so very different, and I know I can say this with conviction as a teacher, working in schools today. Hi Resourceful, thanks for your comments. It definitely sounds from your descriptions that primary schooling in Spain (state-funded at least) is seriously behind with the times! They put on films for them in infants’ school twice a week, for crying out loud. The art classes through primary and high school here are notorious for consisting entirely of colouring-in! It has made me seriously question whether I want to stay in this town, simply on the basis of the school. However, there are a few other important things to bear in mind. We live in a place which is really special in terms of the natural environment. Mountains, orange groves, rivers, random passing herds of goats and sheep, horses, olive groves…and the weather makes it possible to spend a lot of time outside, adventuring. If we were to move to Granada, for example, where there are some great infants’ and primary schools, we would lose out on a lot of that (Granada practically doesn’t have any parks). So, in the same way that you describe your parents making up for your few years of rubbish schooing, many of us are basically choosing to live here despite the rubbish school in order to give our kids the opportunity to do so many things out of doors, enlivening their senses, teaching them about the natural world and basically just having fun in a non-plastic-toy related way. The other thing is that, just as Caveboy is finding friends now and wants to go to school pretty much just to see them, for me as a foreigner here it is really important to find a place in this micro-society so as not to live in a bubble. We left the Steiner school mainly because we couldn’t afford it any more, but also because it felt like we were living in this wonderful but engineered world which was in some ways quite elitist. I find that rubbing shoulders with the locals, as well as all the immigrant communities, gypsies, and so on is enriching in its own right. So for the time being for me it is a case of finding a midpoint between a lovely, ideal school system which is basically unattainable, and making up for the shortfalls of the current situation. In any case, my main concern in this article has been about bullying, and the way that modern education often doesn’t take social, emotional education into account, but this I think is more of a high school problem. You’re right, when it’s done with care and dedication (and funding), there are schools that really give children an amazing experience which they wouldn’t get at home. Unfortunately they are still the exception that proves the rule. At least David Cameron, for all his chuntering, is funding free schools – let’s see how that turns out. Thanks for taking the time to read and reply, I wish you well with your teaching, what a dream your school sounds like…! I think, if I were in your situation, I would make the small sacrifice of sending my son to a mediocre school (as long as he was happy there, with friends and where you too could make friends) in order to live in such a natural place with so much opportunity for your childrne to live in the wild, experience things like sheep farming, mountinas, wildlife etc etc. You know you can make up for any shortfall in their education (while at primary school at least) yourself, you are a creative, motivated, inspiring woman with your children’s best interests firmly at the forefront of your ambitions, that much is clear! Your kids would be fine wherever you took them! Sadly not all children have such parents, and for them school may be the only opportunity to grow and flourish. Bullying in secondary schools is a very scary thing. Here in the UK there is a huge drive to eradicate it, with emphasis on social and emotional education that would never have featured in my schooling. Let’s hope it has the right impact and the next generation of teenagers are better, more empathic, kind, sympathetic, nurturing loving individuals who take care of each other, instead of praying on each other’s weaknesses. My aim is to bring my son up to respect others and treat everyone kindly, if all parents do this, no matter how busy they are, the world would be a better place (I hope). I just stumbled across this old(ish) post and realised I still have so much more to say on the issue – having pulled Caveboy out of the mainstream school at Xmas last year, after a bout of pneumonia, and homeschooled him part-time ever since. More things have been coming up for me about the importance of small-scale farming – I recently did a short course on permaculture with a lovely friend Ras John Cresswell who blogs at permaculturagranada.blogspot.com. The upshot of it is that I am all the more determined to grow as much food as I can, which is partly why I’ve been so quiet on the blog lately – too much watering and weeding to do! Essentially, for any given society to be providing for itself, 75% of its population needs to be farming, We can do other things too, like scale back the sheer quantity and variety we eat, and reduce our living costs so we don’t have to be working so hard in paid jobs (you have to if you want to create a food forest!). But we’ve dug ourselves into a hole now whereby we no longer have the space, the time, the knowledge, or the inclination to be growing our own food – despite the fact that it is so rewarding to do so (not to say nourishing). 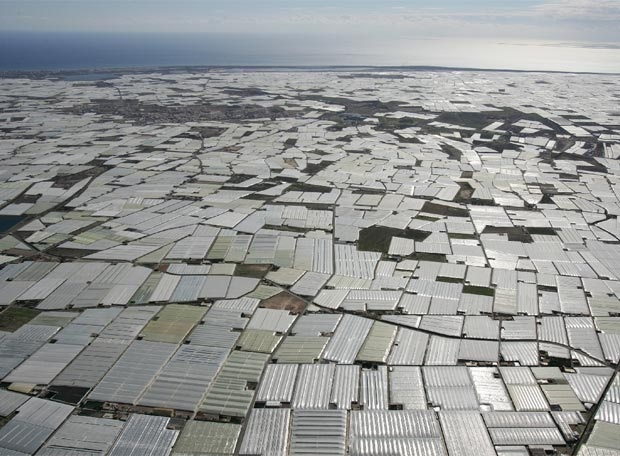 Granada’s unemployment is at 50% – double what it was when I wrote this post not even a year ago, and farming is just as aggressively unnatural as it has been for the last few decades (vegetables grown in fibreglass, anyone?) because so many young people now have slipped into the habit of expecting agribusiness to give them cheap junk instead of reviving their grandparents’ allotments. And despite tearing up at seeing Malala speak so passionately before the UN, I can’t help but suspect that she’s been used as a front for an educational system that wants to raise people’s ambitions above such menial work as agriculture, thus clearing the path for megabusinesses like Monsanto to sweep in and provide us with conveniently cheap, mass-produced, genetically mutated food. But maybe that is just the pessimist in me. I’d be interested to hear from people who went through alternative education or homeschooling and what they do with their kids now. Is it largely dependent on the emotional stability of the parent doing the schooling, whether or not it works out? Or is it more to do with the child? Do you really just have to push through their resistance and force them to do it, despite them loathing it, ‘for their own good’? I know that taking Caveboy back to school will be a battle every morning for months, if it ever ends. I am afraid that this would jeopardise the trust he has in my ability to listen to what is going on for him. Oh and I apologise for some very bothersome spelling mistakes…one being the Spanish saying ‘Leer es vivir dos veces’ – obviously I didn’t read my own post closely enough to spot it!